Spring and summer in New Orleans brings an impressive lineup of events to town — think the New Orleans Jazz & Heritage Festival (or Jazz Fest) for starters — and many won’t cost you a dime. Check out these upcoming festivals, where you can hear live music, see exciting art exhibits and mingle with locals and fellow visitors, all for free. Watch more than 800 musicians performing on stages throughout the French Quarter, as they play everything from jazz and blues to Cajun and zydeco. With approximately 500,000 attendees, the French Quarter Festival is one of the largest free music events in the country. Although this event doesn’t cost anything to get in, you’ll want to bring some cash to sample traditional New Orleans dishes from nearly 70 local restaurants. Expect crispy alligator po boys, rich gumbo and spicy jambalaya, along with the world’s largest jazz brunch. Also, you won’t want to miss a special fireworks display over the Mississippi River, which takes place on Saturday night. Celebrate the Bicentennial of the War of 1812 with NOLA Navy Week. At this patriotic festival, attendees can interact with sailors from around the world and take public tours of Class A tall ships, Navy vessels and the amphibious USS Wasp. Keep an eye on the sky to watch a special fireworks show over the Mississippi riverfront and a Blue Angels airshow over Lake Ponchartrain. For a classy affair, head to The National WWII Museum for the War of 1812 Gala, where citizens can mingle with impeccably dressed officers and military members. 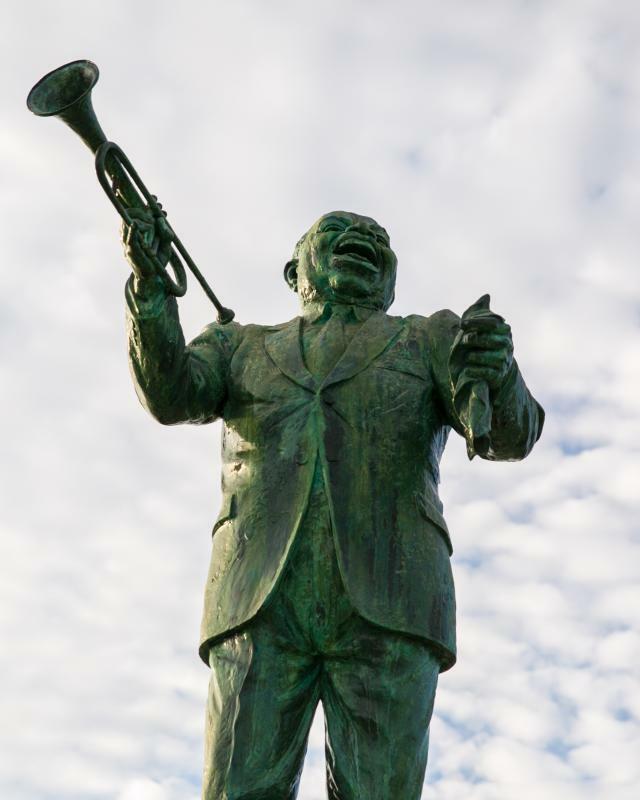 Revel in Big Easy culture at the Mid-City Bayou Boogaloo, during which 20,000 people gather on the banks of historic Bayou St. John to hear local musicians, taste signature Cajun and Creole cuisines, and peruse handmade arts and crafts. This annual event also features a Mardi Gras Indian cultural performance and recreational activities such as a disc golf tournament, rubber duck derby and the Zulu Anniversary Run to Ride 5K. If you think one free event is exciting, how about three? This yearly festival features three must-see events in one weekend: the Creole Tomato Festival, the Cajun-Zydeco Festival and the Louisiana Seafood Festival. 1. French Market Creole Tomato Festival: Sample local recipes, watch live cooking demonstrations, pick up fresh produce at the farmers’ market and celebrate a beloved staple of Southern cuisine — the juicy Creole tomato. 2. Louisiana Cajun-Zydeco Music Festival: Music lovers can catch more than 20 performances held on two stages at the Old U.S. Mint. Wear your dancin’ shoes and get ready to jump in on an impromptu dance party with locals. 3. Louisiana Seafood Festival: Also held at the Old U.S. Mint, this fest celebrates the state’s abundance of fresh shrimp, fish, crab, oysters and more. Watch cooking demonstrations, take a behind-the-scenes kitchen tour and sample Southern-style seafood at the world’s largest crawfish boil.